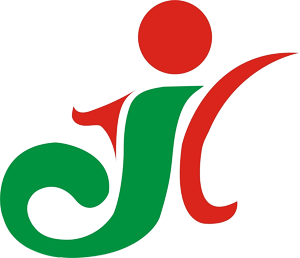 WenZhou JinYuan packing Manufacture Co.,LTD was established in 1996 in China. we are one of the most experienced manufactures of most kinds of tote Shopping Bags like Non Woven Bags, Paper Bags, Plastic Bags, Gift Bags, envelope, Gift Boxes, Plastic Shopping Bags, PP Woven Sacks / Bags, Cement Bags/Sandbags and most kinds of woven Labels, Clothing Labels in mainland China. Our company is provided with a plant of 50, 000sqm and more than 300 staff, including 54 professionals. With fixed asset of more than USD 37.5 million. Our company has a healthy cash flow and boasts the world's advanced printing equipment and the processing equipment, which are primarily based on one Bobst LEMANIC 67-H rotogravure press with eight printing units, three Heidelberg speed master CD102 six-color offset press production lines, and one Mitsubishi 3F branded offset press with four printing units. In order to improve our capacity and competitiveness, international advanced color printing technology and management experience are introduced, and a group of professional printing technicians and management personnel are trained year by year. So far, Our color printing products are exported to Europe, America, Southeast Asia and other countries and enjoy good reputation home and abroad. Furthermore, the most essential is our professional team. We have experienced technicians and workers to fulfill customer needs with enthusiasm, most of whom have been with the company for many years. The average length of tenure is 10 years. We worked with many famous brand from around the world such as Puma, Annic, CK, R&G, Nukin, Blue Star, Karma, L'oreal, Avon etc. QC/Technical Support Our independent QA department with 25 well-trained full-time QC members ensure the quality from incoming materials, on-line production until final production. Our QC members conduct inspections on every procedure of production. QC Staff 20 to 25 Procedures/testing Details 1. All the raw materials are tested before production. 2. Pre-Production: Raw materials are examined to ensure that they have reached customers' requirements. For any problem, the controller will submit a report to the QC supervisor. 3. Production Lines: Based on the random sampling technique, our QC members randomly select and check a set of samples. If the defected products exceed the pre-assigned percentage of errors, the whole production line will be reviewed. 4. Finished Products: Our quality controller performs a visual check on every finished product to make sure it's qualified. As Always,We welcome customers' Own designs in any size, any color, any shape. So, please do not hesitate to tell us about your ideas or send your samples to us.We sincerely hope to cooperate with you, and wish that domestic and foreign customers would like to join hands with us to create a better tomorrow! Warmly welcome to visit our factory and deal with us.